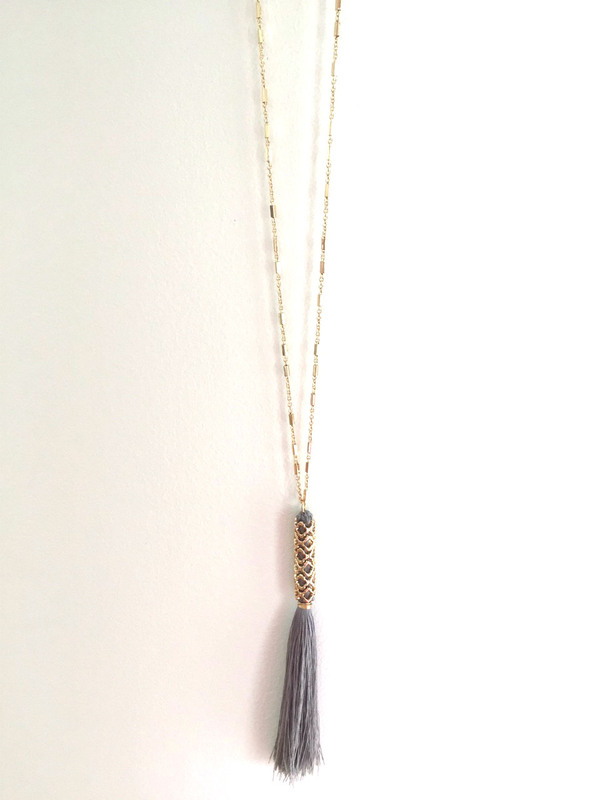 Tags: gold chain necklace, gossamer tassel, pendant necklace, tassel necklace. 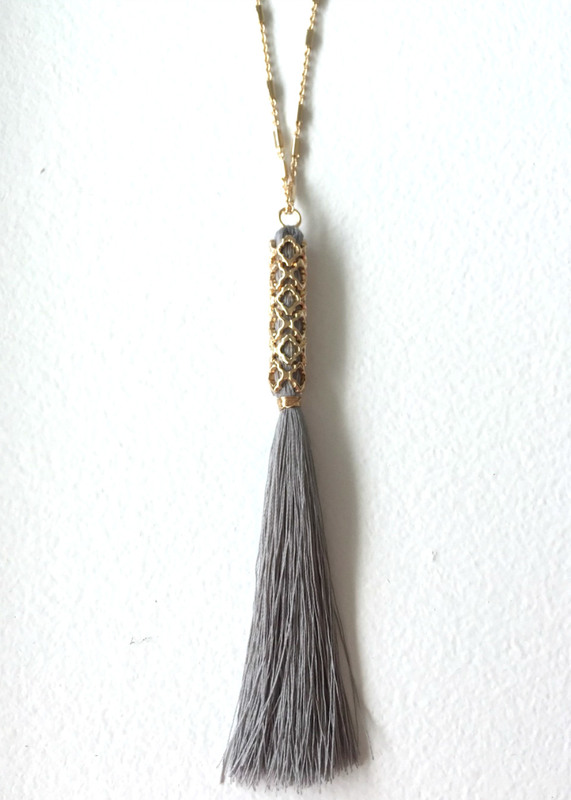 Hit the streets with our simple yet sophisticated gossamer tassel necklace, available in both shimmery silver and cobalt blue colors. 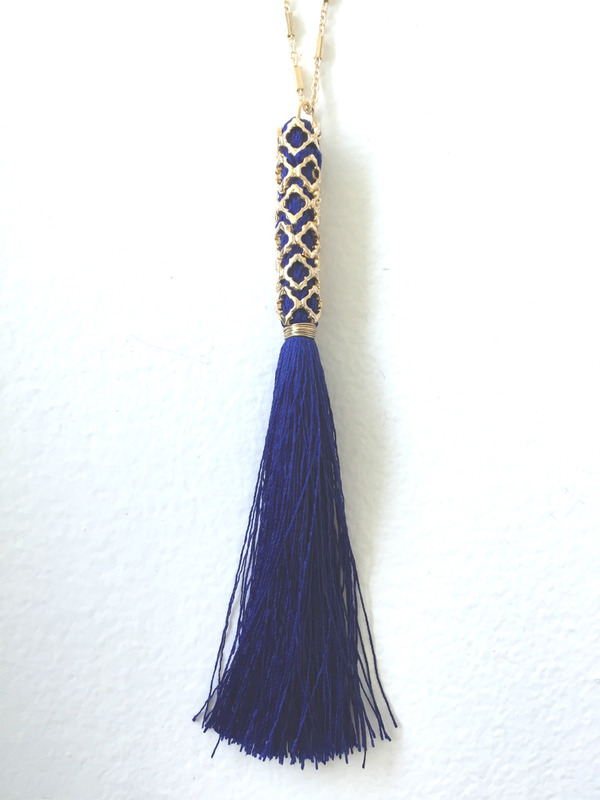 Each colored tassel is threaded with gold at the base and strung on a gold plated chain, a perfect compliment to any casual brunch and weekend outing outfit.